Burt Rosenthal represents unions and union members in all aspects of labors relations. In the employment law sphere, he represents individuals in a variety of industries, ranging from top level executives to rank-and-file staff, negotiating and pressing claims for employment contracts, change-in-control benefits, and severance arrangements. In the labors relations arena, Burt has represented union clients before the National Labor Relations Board and its regional offices throughout the northeastern states. This includes his extensive experience pressing NLRA claims in the federal court system. 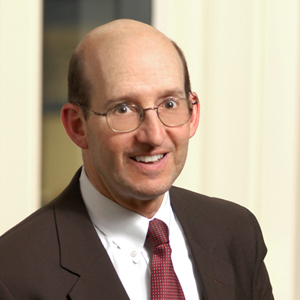 Burt previously served as adjunct faculty teaching labor and employment law at the Northeastern University School of Law. He has been named a Massachusetts “Super Lawyer” in employment and labor law from 2007-2017. In 2010 Burt received from the Greater Boston Labor Guild that organization’s Cushing Gavin Award as outstanding union-side attorney in the Boston metropolitan area. Burt has been an attorney at Segal Roitman since 1988 and became a partner in 1990. Prior to joining the firm, Burt served as District Litigation Specialist at the National Labor Relations Board’s Region One office in Boston. Burt served as Chairperson of the Massachusetts Bar Association’s Labor & Employment Law section. Since 2001 he has also served as the American Bar Association’s regional Co-chairperson of the Subcommittee on Practice and Procedure under the National Labor Relations Act, for the New England region. Outside of his work for Segal Roitman clients, Burt has been an active volunteer for educational institutions that have admirably served his family and the whole community, including his pro bono lawyering for Cohen Hillel Academy in Marblehead, his volunteer efforts for Phillips Brooks House at Harvard, and his service on parent-teacher committees in Swampscott. He is proud to have been a long-term, loyal Red Sox season-ticket holder since the days before the Sox got popular.